What is the difference between wills and trusts? Is one better than the other? For residents of Nevada considering estate planning, it helps to learn the differences between the two, so that they and their attorney can determine which may be more suited their specific needs. In essence, a will is a document prepared while living that does not take effect until the event of the individual’s death, at which time the instructions laid out within are followed. A trust, alternatively, has the same instructions regarding assets after death but, in certain types of trusts, also outline what happens with those assets during the individual’s lifetime. For example, the person named as trustee manages the trust assets in much the same manner as someone who has been given power of attorney over financial matters would; in some circumstances, the trust maker may name him or herself as the trustee, naming a successor trustee to take over management of the assets in the event that the person who set up the trust dies or is otherwise unable to do so. 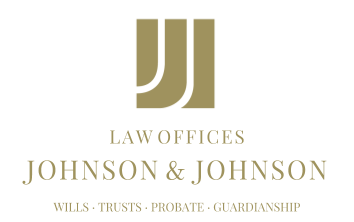 One advantage a trust has over a will is that trusts are not usually required to go through probate court. After the individual’s death, the trustee has authority to follow the instructions outlined within the trust, without a court overseeing the actions. Conversely, a will, generally speaking, will need to be settled under the supervision of a probate court judge. The will, therefore, becomes a public document, while a trust allows those involved to maintain a certain level of confidentiality. In addition, since wills may end up in probate court, they may be more likely to be challenged. Residents of Nevada navigating the ins and outs of estate planning might choose to seek the counsel of an attorney with experience in estate administration and probate. An attorney with an understanding of wills and trusts would be able to guide individuals through the process and help them decide whether a will or a trust is better suited to their personal needs. Regardless of which is determined to be more suitable, the attorney’s legal guidance throughout the planning process can prove invaluable in ensuring documents are correctly drafted and properly executed.